Have a pull style clutch in your car? Late R32's, R33's and R34's all have pull style clutches. These style of clutches and release bearings seem to baffle some mechanics. I had to make a video way back when, showing how to release one. ACT has just released a new one piece collar for pull type clutches. It "should" work on a Nissan Skyline GT-R clutch, but I have to try it out on some first. The two piece collars can come apart during install or if you do something weird. I have never had one come apart, but it seems some Evo guys have it happen. If anyone can do stupid stuff, they can. 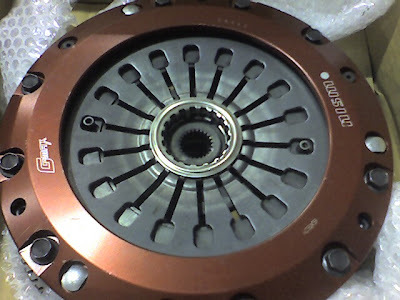 There are advantages to a pull style clutch over a push style clutch, but the complexity of a pull style means that we see a lot of aftermarket clutches that are push style. LANCASTER, CALIF., May 2, 2013 — People love good secrets. 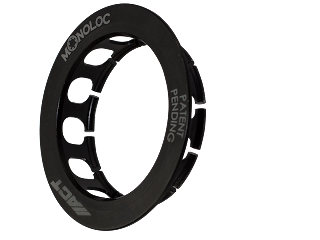 So, when Advanced Clutch Technology (ACT) engineers began developing a solution to the common problem with standard two-piece wedge collars found in Japanese pull-type clutches, they engineered Monoloc — a secret design too good to keep quiet about. Monoloc can serve as a upgrade feature for pull-type pressure plates using a standard wedge collar design and is available separately, exclusively from ACT, for $80. It installs just like stock. Also, it is featured in a growing list of several newly-developed pull-type pressure plates available from ACT and distributors. ACT’s Monoloc is advanced, yet simple. Get yours today at www.advancedclutch.com.